Jade Ocean in Sunny Isles Beach is an ultra-luxurious oceanfront condo which offers most luxurious amenities to it’s residents. Located at 17121 Collins Avenue, which right across from major shops, restaurants, banks and other important shops which make up the infrastructure of Sunny Isles Beach, Florida. Location is always important when buying real estate. Same goes for luxury condos as well – you’re always looking for better accessibility. In that concern, any residence on Collins Avenue will be the best choice. Collins Ave provides faster roadway communication which always makes a faster travelling experience. On the other hand, the two nearby airports namely Miami and Fort Lauderdale are always ready to make you reach at any corner of the world. So, if you’re in Miami you need to schedule a visit to Jade Ocean Sunny Isles and explore the world around it. Being a resident at Jade Ocean buys you certain lifestyle. It’s oceanfront location of course provides first class beach enjoyment. You get impeccable service which includes the lounge chairs, towels, café service and much more. However, you can also enjoy all the pleasures of the modern metropolis and visit downtown Miami, South Beach, Bal Harbour, Fort Lauderdale or even Palm Beach. The interiors of a condo are managed with expert hands and you can feel a luxurious touch for all the time. The condos are just like as you deserve. The architects and developers have well analyzed the common need and the same place is decorated with much expertise. There will be more and more space at the living rooms, luxurious kitchen amenities, whirlpool and marble flooring in the bathrooms, laundry and dryers, floor to ceiling windows, sensor based security and many more. 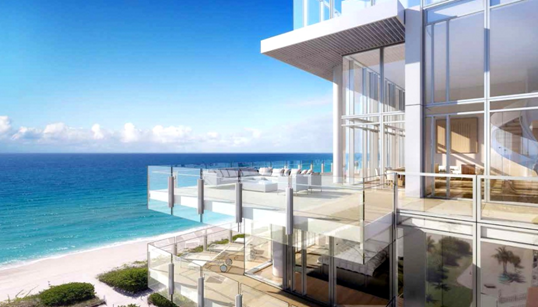 So, you can better understand that taking the advantage of Jade Ocean for sale will be the best and lucky opportunity for your life to have a luxurious space at the oceanfront of Sunny Isles. The common ground is decorated with swimming pool and spa, fitness center, gym, wine lounge, meeting place, music point and many more. After coming from whole day’s work, you will have a better experience of leisure at the same point and that is Jade Ocean. To get all of these leisure you have to make hurry. The availability is least and you will have to grab the chance of Jade Ocean for sale. The online business listing of Jade Ocean will help you provide all the necessary information. Besides that, the consultation with an authorized realtor like Lana Bell will help you inform about the condo availability and some exciting price packages.